Who doesn’t want home cooked food with all the moisture oozing out of it, as if it were prepared in a topnotch restaurant? When you have a passion for food, passion for cooking tends to come along with it naturally. But cooking is no joke. Leave the food on the stove or oven for too long – you burn it, hence it is ruined and you may have to start over. Conversely, if you take the food off the stove or oven way too soon, it’s most likely to be undercooked – aka not fit to eat. That’s the main problem with cooking. Everything has to be precise, but that precision can only come with a legitimate amount of experience. Sous vide is one of the most known and preferred method of cooking and has been tested by every master chef around the world. 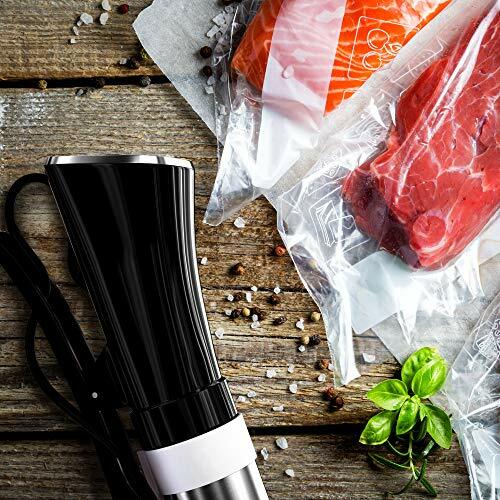 Unlike traditional cooking methods, sous vide ensures that your dinner is neither raw nor overcooked. It goes without saying that the main reason why Class A restaurants are at the top of their game is thanks to this exceptional cooking method. Also, opting to invest in a good quality sous vide machine can help you give your food that touch and look of a topnotch restaurant. However, almost every sous vide recipe features a cooking time that can range anywhere from 1 hour to 48 hours. This can pose a challenge for the home cooks who come home from work and want their meal to be ready to be gobbled in an hour or less, especially on weeknights. So, how can you ensure that your sous vide masterpiece is done within that time regardless of what day of the week it is? Traditional cooking methods give us the flexibility of taking out the meat, defrosting it, tossing it into a pan, and – voila! But the results, i.e. the flavor, the moisture, the suppleness of our food are often times not the best. However, you can make arrangements and prepare the meat in advance, as in the night before, vacuum sealing it and placing it in the freezer. You can make preparations for a lot of servings this way. When you get home after work, you’ll find it simple and easy to just take out of the freezer and cook it via sous vide.